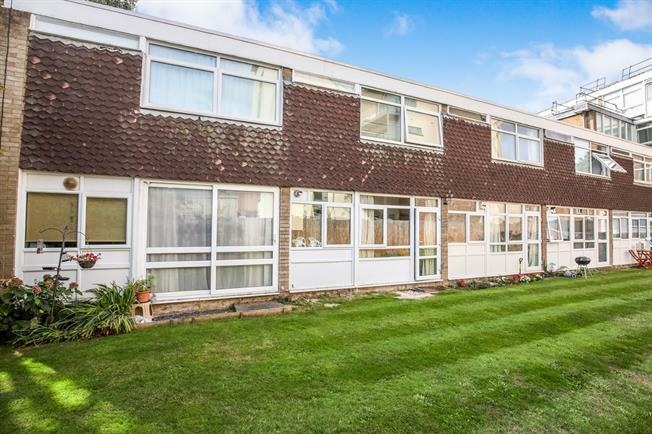 2 Bedroom Maisonette For Sale in Woking for Offers in excess of £250,000. This bright and spacious open plan terraced maisonette is perfectly placed for anyone wanting to be within close proximity of the town centre and station. Walk up the path through your own front garden and enter in through a storm porch into an open plan living space featuring parque flooring, which is flooded with natural light through the large dual aspect windows front and rear. The ground floor flows through into a pleasant and well maintained lawned rear garden, which all residents can enjoy. Upstairs, both bedrooms feel large and will comfortably accommodate a double bed, and the master boasts a handy en suite shower room. Call us now and we will arrange to show you around!